The concept – named "BHO3" – offers the possibility of charging the batteries of electric cars by transforming the heat generated by the rolling tire into electrical energy. This tire generates electricity through the action of thermo / piezoelectric materials in the tire that capture and transform the energy created by heat when it flexes as it rolls during normal driving conditions. The materials used would optimize the tire's electricity generation capabilities as well as its rolling resistance. As demand for electric cars grows, this technology has the potential to significantly contribute to the solution of future mobility challenges. 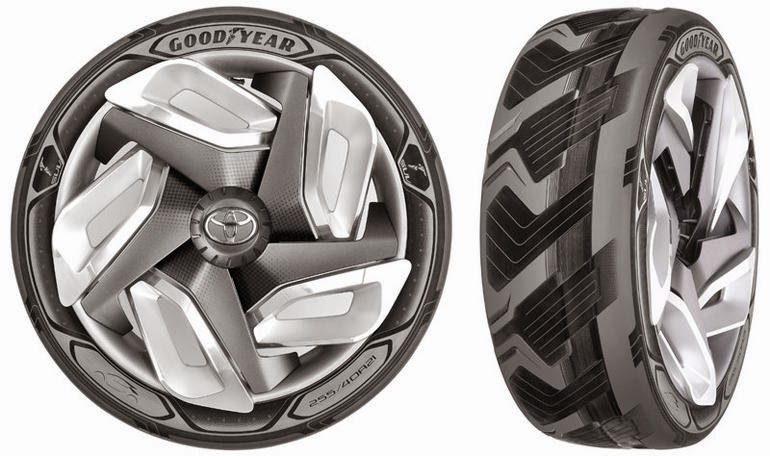 This visionary tire technology could eliminate the vehicle-range anxiety motorists may have with electric cars.